If you’re in the market for a roof repair and replacement company for your home in Collinsville or a neighboring Illinois community, consider Daech & Bauer Roofing. We go above and beyond to ensure our customers receive the service they deserve, and we are proud to have completed more than 10,000 projects in the area. Our staff can help you navigate the tricky insurance claim process if your roof has suffered storm damage, and we back our work with a five-year workmanship warranty. We also promise to match any competitor that offers the same products and services for less. We are also proud to be an Owens Corning™ Preferred Contractor, a designation we earned thanks to our high standards of professionalism and reliability. We recommend the Owens Corning™ Total Protection Roofing System®, which takes roof repair and replacement to a new level by ensuring a roof has a water-tight seal, the durability to withstand extreme weather, and the ventilation needed to reduce heat and moisture buildup. 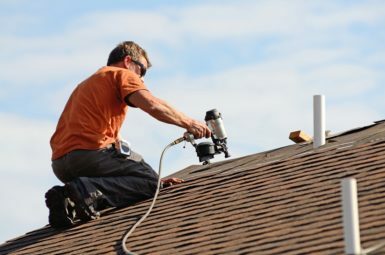 If you are looking for a roof repair company that serves residential customers in the Collinsville, IL area, contact Daech & Bauer Roofing today. Be sure to ask about the financing plans featuring low monthly payments that we offer for those who qualify.